The fight for fair taxation in the EU has been high on Parliament's agenda long before LuxLeaks and the Panama papers. Since the start of the economic and financial crisis, MEPs have been pushing for greater transparency and an end to tax unfair practices. Read on for our overview of Parliament initiatives. The economic and monetary affairs committee is the legislative committee in charge of tax policies and continues to work on the European Commission's legislative initiatives in the area of taxation. Parliament has also set up two temporary special committees to look into tax rulings and is in the process of launching an inquiry committee to investigate the Panama papers. Tax rulings are written statements issued by a tax authority, setting out in advance how a corporation's tax will be calculated and which tax provisions will be used. Tax rulings have sometimes been criticised when multinationals used them to agree discretionary or preferential tax treatment with a country. Parliament has set up two special committees to look into them. Last November the first special committee on tax rulings published its final report, setting out ideas for fair and transparent taxation across the EU. Its work is continued until July 2016 by the second tax rulings committee. Launched in December 2015, it continues the work of the first special committee to identify the necessary steps to fight corporate tax avoidance. Following the revelations in the Panama papers, Parliament decided to set up an inquiry committee. Its mandate will soon be confirmed during a plenary session in Strasbourg. Recommendations to fight aggressive corporate planning were adopted by MEPs in December 2015. This report by the economic committee spelled out the legal steps that the EU and the member states should take. It was based in part on the work of the first tax rulings committee. Among others, Parliament called for the European Commission to produce a legislative proposal n country-by-country reporting of companies' profits, tax and subsidies. As a result the Commission announced its plans in April 2016. MEPs also demanded an EU-wide definition of tax haven and the Commission is currently working on a proposal. In May 2015 MEPs adopted tougher rules on money laundering. The fourth anti-money laundering directive will oblige member states to keep central registers of information on who owns companies and other legal entities.EU countries have until 26 June 2017 to implement the new legislation. The Panama papers underlined the importance of these new rules. Parliament plays a key part in public transparency rules for multinationals. 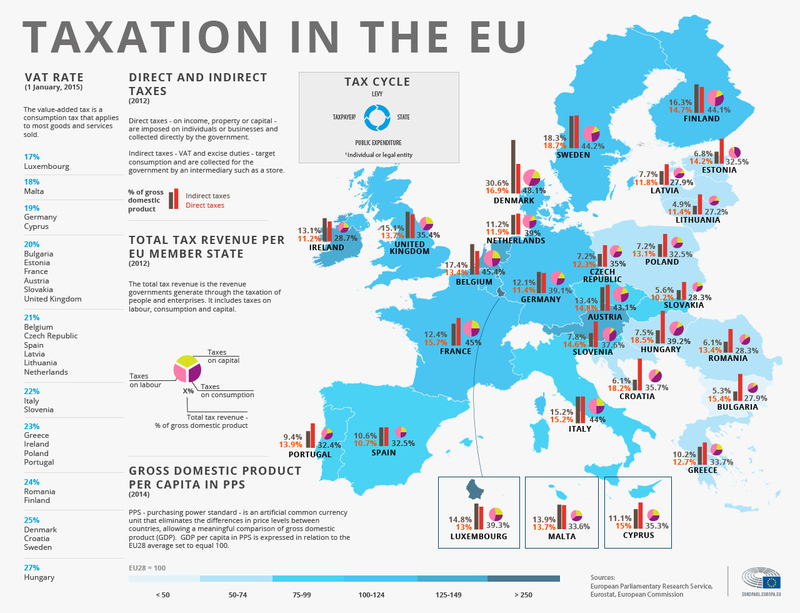 Multinationals with global revenues of more than €750 million would have to make information on where they make their profits public and also where they pay their taxes in the EU on a country-by-country basis. MEPs asked for this in the report adopted in December mentioned previously and as a result the Commission published a report on this in April. It is not known yet when MEPs will vote on the plans in plenary.